There is nothing scary about Permanent Microblading Perfection Makeup also known as Micro-Pigmentation if you do your homework. I am not taking just about bad work here; Hepatitis, HIV, Staphylococcus are all very real Ladies, besides your face your health is at risk if you do not take any and all invasive procedures seriously and know exactly who you are hiring to do your permanent makeup. I am still surprised at how many women don’t do their research when getting invasive procedures like Botox, cosmetic fillers, facelifts, permanent makeup and even facials (though not invasive it’s still working on your face). I have seen the ugly reality of what happens to women when they are lured into treatments/procedures from a Groupon or too good to be true pricing at a doctors office or esthetic studio they have not researched. Just like with my postings on the topic of Lash Extensions (I have had my fair share of corrective cases see them HERE) I am going to give you an outline of what you should be asking and looking for when you are interested in enhancing your beauty through permanent makeup. First let me start off that permanent makeup should look natural not artificial. I researched long and hard on where I wanted to get my education when it came to altering women’s faces. This wasn’t a decision I just made one day, it took me years to add this technical procedure to my esthetic practice. I spent intensive time in Los Angeles studying to master the gorgeous brow stroke simulation/3D brows. You can read all about my permanent makeup education training HERE Watch the video of why I chose renown permanent makeup artist Susan Church to study under HERE. First let’s discover what permanent makeup really is, by definition Permanent Makeup is a cosmetic technique which employs tattoos (permanent pigmentation of the dermis) as a means of producing designs that resemble makeup, such as eyeliner and other permanent enhancing colors to the skin of the face, lips, eyelids and eyebrows. It is most commonly called Permanent Makeup, other names include Dermapigmentation, Micropigmentation and Cosmetic Tattooing. Permanent perfection cosmetic procedures are performed using various devices from traditional tattoo coil machines to the pen, rotary machine or hand tool method. 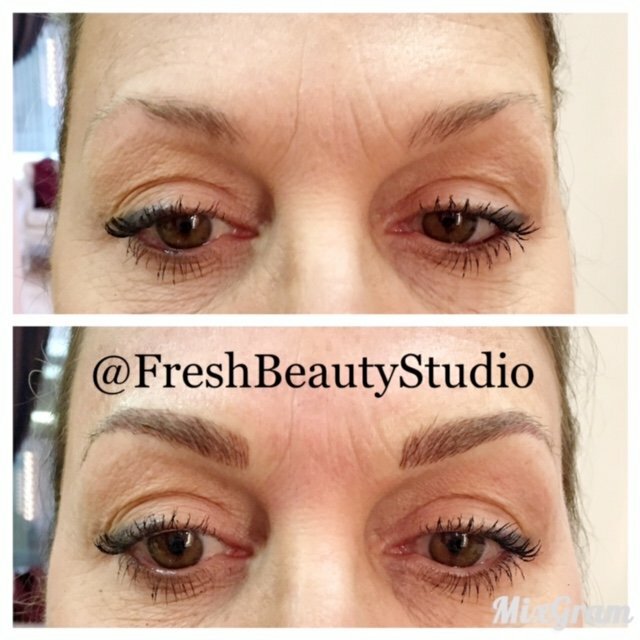 A question that I get frequently “Is Permanent Makeup Really Permanent?” Permanent cosmetic procedures are considered permanent because pigment is tattooed into the upper reticular part of the dermal layer of the skin and cannot be washed off. Remember as with any tattoo or any pigment in general, fading can and often does occur from the use of glycolic acid peels, sun exposure, certain cosmetic procedures, lifestyle etc which will require periodic maintenance referred to as a color refresher. 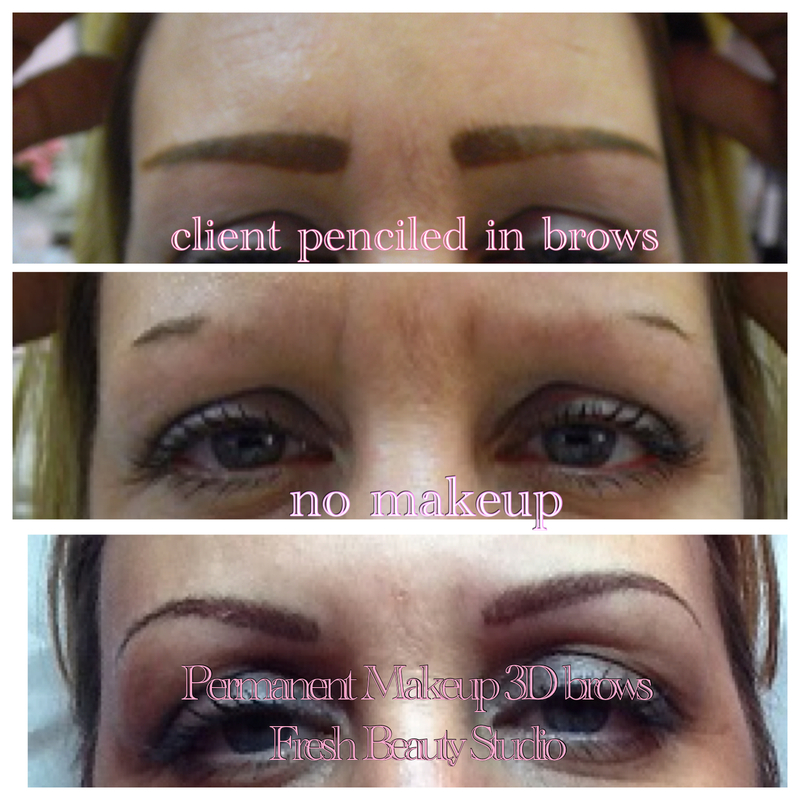 It’s truly amazing what permanent makeup can do for you. 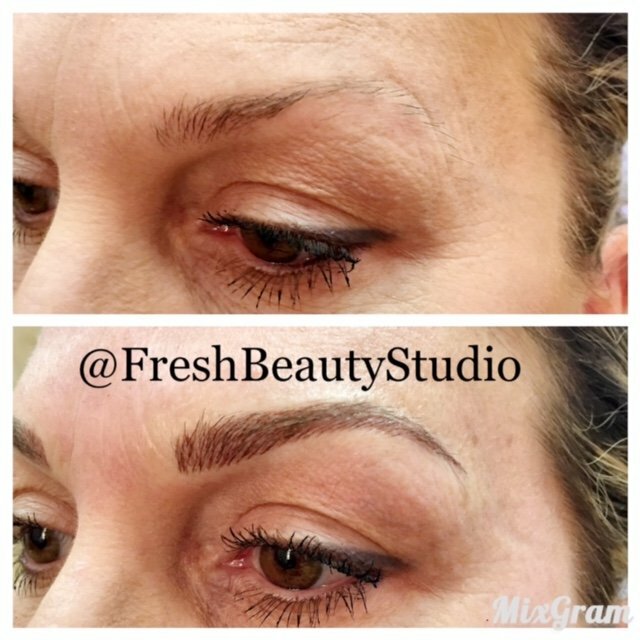 I have my eyebrows done and I absolutely LOVE them (watch my procedure HERE) I have included a couple of my clients as examples, note my style is extremely natural, my goal is to create the most realistic hair stroke with soft lines. Check out my Instagram for daily postings of my work. Let’s take a look at important factors to consider when researching to find a qualified permanent makeup technician. Learn as much about the permanent perfection makeup industry as you can before making any phone calls to a technician. Visit the site where your procedure will be done. Always have a consultation before you allow anyone to touch your face. Ask about the technicians background, How long have they been in the industry? Where did they study permanent cosmetics? Ask to see all certificates of training and continuing education. Ask how many hours of training they have had. A 2-day course is not enough of a solid foundation for permanent makeup. LOOK AT YOUR TECHNICIANS PORTFOLIO. NO PORTFOLIO NO TREATMENT PERIOD. Make sure the pictures you are looking at are in fact ACTUAL clients of the technicians. Is there a watermark with her name or company name on her pictures? Are these same clients up on her website or social media? Does the technicians work reflect your own personal style? If you desire a more advanced eyebrow procedure such as brow hair strokes find a technician that specializes in only eyebrows. Does the technician use unopened new and sterile needles for each client? You want to find a technician that uses Disposable sterilized ONE-TIME use machine parts. Make sure you feel comfortable with the technician you choose, you will be forming a relationship that will last for years to come as you will be coming back for color refreshers. The above is not a complete list of what you should be asking or looking for but a rough outline to get you started. I do want to make sure you understand that the technician you choose MUST have the following and you need to ask for it. There are many technicians out there that are NOT Certified, NOT insured and do not have proper training to preform these treatments. All license must be posted in a conspicuous place in the studio. Follow all OSHA and CDC health and safety guidelines. I am always available to answer any questions you might have about permanent makeup, you can call the studio at 954-537-1772 for more information. I hope all this information about Microblading Perfection makeup is helpful to you. Rachel Croft Conde liked this on Facebook. Suze Steyl liked this on Facebook.